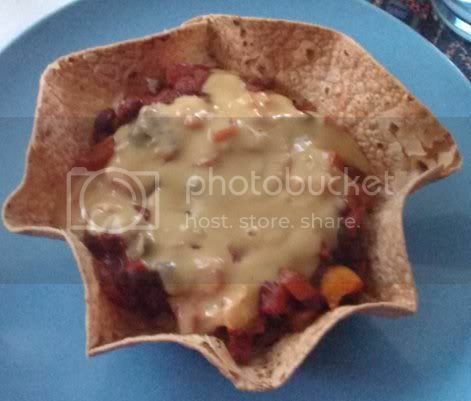 Product Review & Recipe: Black Bean Tortilla Bowl with Food For Lovers Vegan Queso! 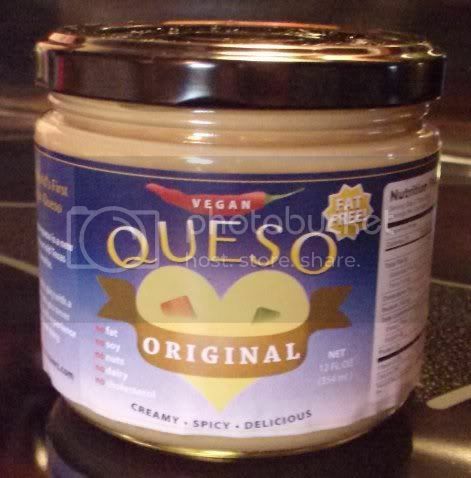 I’ve been hearing a lot of buzz about the awesomeness of vegan queso, so imagine my delight when this showed up in the mail! My very own sample of Food For Lovers’ vegan queso, a whole jar of cheesy vegan goodness straight from Texas. This queso was invented by Chris and Crystal Tate, vegans with a passion for health, animals, and old-fashioned Mexican food. It took two years to finalize the recipe that is now appearing on shelves at Whole Foods markets and shipping worldwide from Cosmo’s Vegan Shoppe, Vegan Essentials, Food Fight! Grocery, and Pangea Vegan Store. You can read the whole awesome story of their queso and the birth of their company here. Now that I’ve tried it for myself, all I can say is–WOW! This queso is amazing. It’s smooth, creamy, and downright cheesy. Warming it up in the microwave only takes about a minute, and BAM! You’ve got a warm, spicy vegan cheese perfect for nachos, burritos, quesadillas, or plain old dipping. I guarantee you could serve a huge bowl of this stuff to a party full of hungry omnis and hear zero complaints. If you’ve been looking for a good nacho “cheese” dip or seriously miss traditional nacho cheese taste, this queso is the perfect solution. The best part? It has only ten calories per tablespoon and is fat free. That’s right, the entire jar has only 240 calories and no fat at all, meaning anyone can enjoy the cheesy goodness. Including me, even with my continued wariness of condiments with calories. I threw together this recipe to give the queso a test run. If you don’t have a jar of the Food For Lovers queso (yet), you can substitute nacho cheese sauce. But seriously, get a jar. Or three. 1) In a small saucepan, bring the water or vegetable broth to a boil. Add the rice, cover, lower the heat to a simmer and cook until the liquid is absorbed, about 45 minutes. 2) Preheat the oven to 375°F. Lightly grease the tortilla bowl pans and press the tortillas into them to form bowl shapes. Cook until crisp, about 10 minutes. Allow to cool for 5 minutes before serving. 3) Meanwhile, heat the oil in a skillet or saute pan over medium heat. 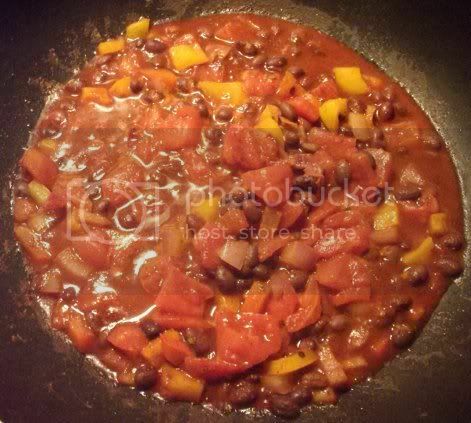 Add the onion and bell pepper, cover and cook until softened, about 5 minutes. 4) Add the tomatoes, spices, lime juice, and hot sauce (if using). Stir and bring to a low simmer. Add the beans. Cover and cook until heated through and the flavors are blended, 5-10 minutes. 5) Taste and adjust seasonings; add more hot sauce as desired. 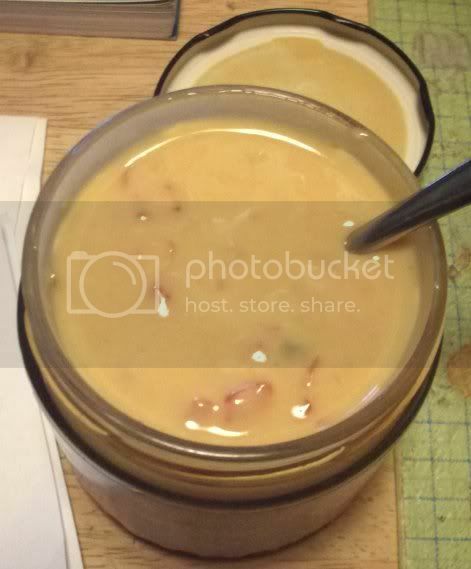 6) Heat the queso either in a saucepan on the stove or in the microwave according to jar instructions. 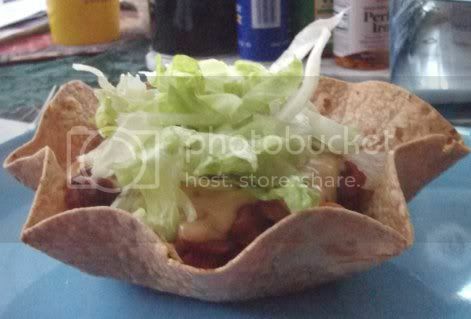 7) To assemble, place one-quarter of the rice into the bottom of each tortilla bowl. Top with one-quarter of the bean mixture and 1/4 cup of warm queso. Then add whatever toppings you prefer: shredded lettuce, chopped avocado, salsa, more hot sauce…whatever strikes your fancy!